Find a 60s Tribute Band for hire near you in minutes! Option 1. Enter your event location below & contact a 60s Tribute Band directly! Option 2. Request multiple quotes from available 60s Tribute Bands Get Quotes! Option 3. Read information & advice on hiring 60s Tribute Bands Read Advice! WANT TO KNOW MORE ABOUT 1960s TRIBUTE BANDS? Read on for the most comprehensive guide to booking a 1960s Tribute Band, including how much a 1960s Band costs, exactly what they will do at your event, plus tips, advice and information to help make your event one to remember! With a 1960s Tribute Band, you will get a group of professional musicians that will take you back to the 1960s to when music was all about the ‘Mersey Beat and ‘Psychedelic’ sounds! What exactly will a 1960s Tribute Band do at your event? When you hire a 1960s Tribute Band, you will get a group of professionally trained musicians that will take you on a journey through time back to the ‘far-out’ 1960s! They will play a wide range of covers from some of the decades biggest artists including: The Beatles, The Rolling Stones, The Kinks, The Doors, The Small Faces, The Mamas and the Papas, James Brown, Bob Dylan, The Beach Boys and Jimi Hendrix, to name a few! 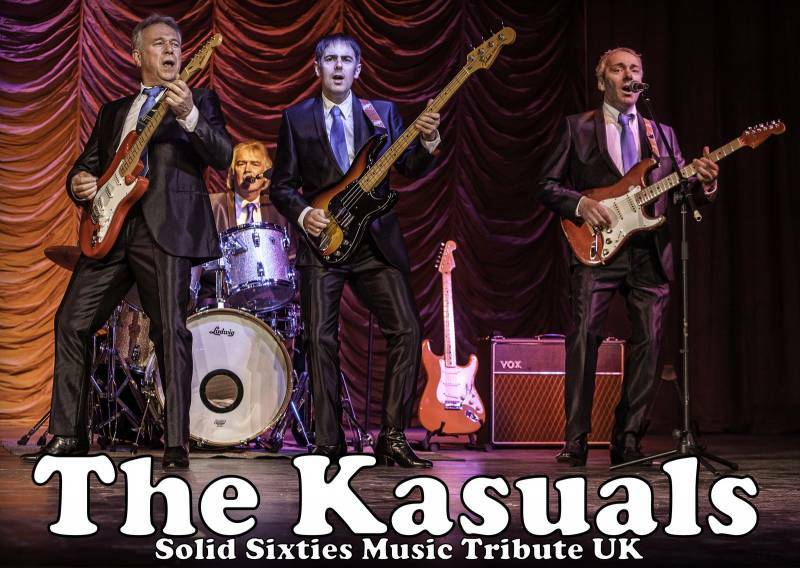 Mainly, a 1960s Tribute Band will entertain your audience with a fantastic live show that will put the wow factor into celebrations and impress your guests, whatever their entertainment tastes may be. What event types are 1960s Tribute Bands hired for? Hire a 1960s Tribute Band for your wedding drinks reception, and you will be getting the best 60s music which will undoubtedly ensure the guests feel relaxed as they get to chat to the bride and groom for the first time that day. Whether the wedding drinks reception is inside or outside, the 60s Band can play Motown to Blues Rock. Looking for some 60s music for your wedding breakfast entertainment? 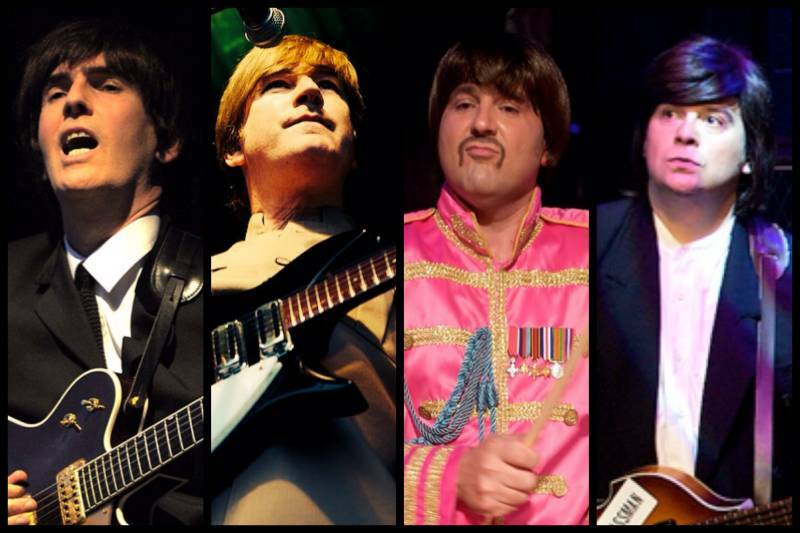 Have a professional live 60s Tribute Band get your friends and family in the mood to celebrate! The 1960s was a liberating and fun time and the music created was, and still is, special to so many people. The 1960s Tribute Band can be hired to play for your wedding breakfast and can be set up on the main stage, playing all those groovy songs as the guests eat, drink and watch the bride and groom cut the wedding cake! Looking for some peace and love at your wedding evening reception? Whether you’re into the Rolling Stones or the Beatles, a 1960s Tribute Band will bring the magic of the 60s to your wedding evening reception! 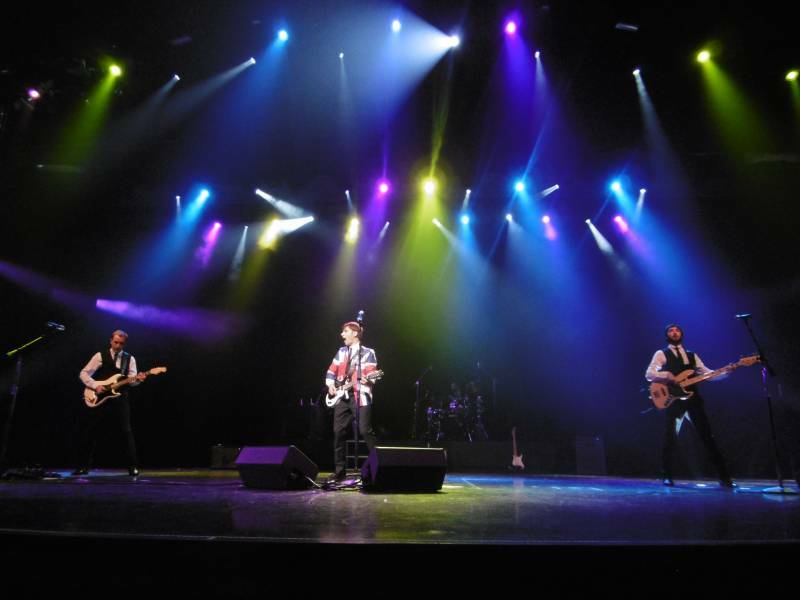 A 1960s Tribute Band can come in many forms, but whether they are a 2-piece or a 10-piece band, they will play tribute to the biggest music stars of the 60s including: The Who, The Beach Boys, The Animals, The Monkees, The Supremes, Jefferson Airplane and Freddie and the Dreamers! This music will really get everybody doing the Twist! A 1960s Covers Band will be ideal for your corporate event entertainment! The reason for this is that whether you were there or not, the 60s as a memory or a brand, makes everybody feel uplifted and free-spirited. A band playing live 60s music will be perfect for your trade event, shop opening, art gallery, cafe, bar, or product launch. Because of the constant fascination with 60s music, you will be sure to pull in a big crowd! If you are looking for entertainment for your party then a 1960s Tribute Band will appeal to everyone! A 1960s Tribute Band will cover a vast amount of styles including Folk, Pop, Rock, Mersey Beat, Psychedelic and RnB. If you are hosting a 1960s themed party, then a 1960s Tribute Band will bring the flower power to your venue! A live band playing the hippest songs of the 60s will ensure that the 60s are alive and kicking! So get dressed up in your 60s gear, wear lots of flowers in your hair and tune into the 60s! How much do 1960s Tribute Bands cost to hire? Our simple to use entertainment directory allows you to firstly search for the best 1960s Tribute Bands who are local (or travel to your area) and then via the contact form you may message them directly to enquire for a no obligation quote to perform at your event. Some acts will also add a rough price guide to their profile for your convenience. What are the usual set formats and performance lengths for 1960s Tribute Bands? A 1960s Tribute Band can tailor their performance to times to suit you and your event, however, on average a professional 1960s Tribute Band will perform for two 45 minutes sets. How much space will a 1960s Tribute Band need at your event? This will depend on how many members the 1960s Tribute Band has. We would advise to contact the band personally using our messaging service to enquire. What equipment and set up requirements do 1960s Tribute Bands need? As with most artists who sign up to Entertainersworldwide.com, a 1960s Tribute Band will provide all of their own equipment. You may want to enquire if an artist needs a PA to amplify their sound, in which case we would advise to use our easy to use messaging service to find out. We do ask that each performer gets a backstage area in which they can prepare for the performance ahead. If your venue does not have a backstage area, then we kindly ask that you enquire with the venue to seek an alternative space in which the performer can comfortably get ready to entertain. How can you find and book a 1960s Tribute Band with Entertainersworldwide.com? WANT TO RECEIVE A RANGE OF QUOTES FROM 60s Tribute Bands?